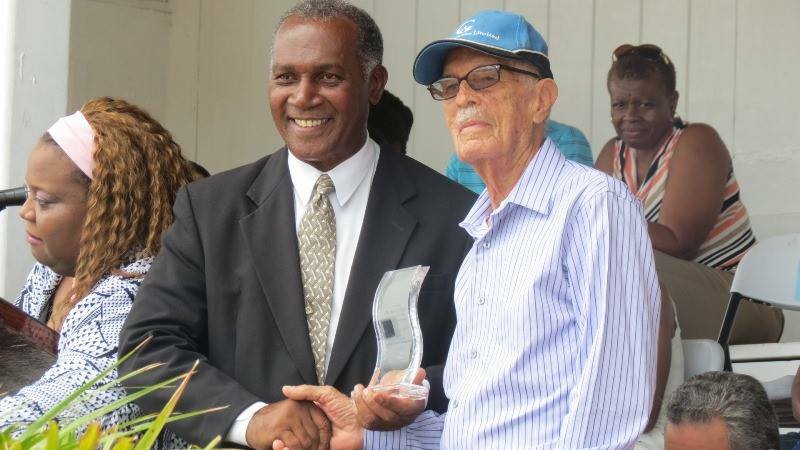 NIA CHARLESTOWN NEVIS (April 9, 2015) — The steering committee of the 2015 Gulf Insurance Inter-Primary Schools Championship recognized four personswho have been key in the success of Nevis’ leading sporting event. 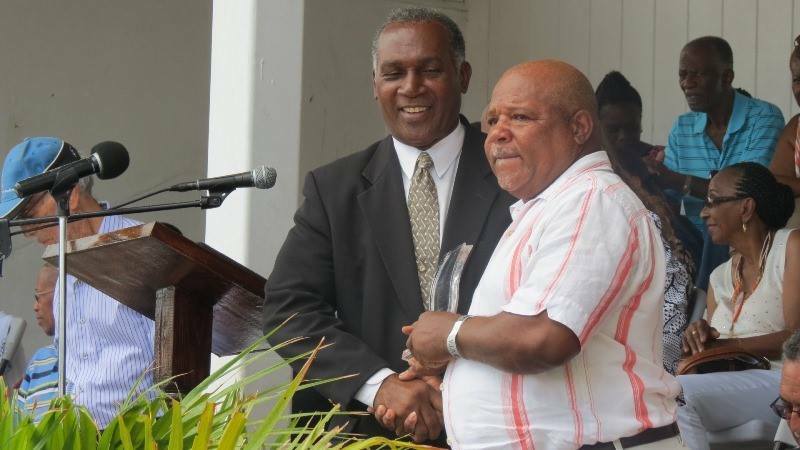 The awards were presented by Premier of Nevis Hon. Vance Amory at the annual Championships at the Elquemedo T. Willett Park on April 01, 2015. During the opening ceremony of what is locally called the “Mini Olympics”, Arthur Evelyn received an award for his timely contribution and sponsorship to the GulfInsurance Inter-Primary School Championships. Meryl Carbon, who was not present, was recognised for his technical skills in preparing the athletic event. 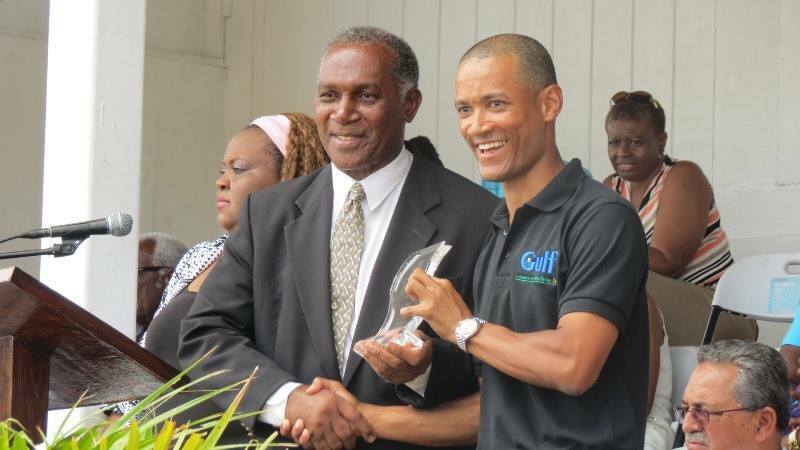 Frankie Claxton received an award for his significant contribution to the early development of the Gulf Insurance Inter-Primary School Championships. The steering committee also awarded major sponsor of the Championships Gulf Insurance Limited for its sponsorship for 23 consecutive years. Chairman of Gulf Insurance Limited Jason Clarke, who received the award on behalf of the company in brief remarks shared that Gulf Insurance Limited was pleased to be associated with such a significant event. “Participation in sports not only limited to the development of and creation of athletes but also upright citizens with a cultured affinity towards discipline, honesty, teamwork and temperance,” he said.